Last year, I missed out on Quilt Con. This time around, I won't be missing out on the fun! Are you going? If so, let me know what you will be attending in the comments. 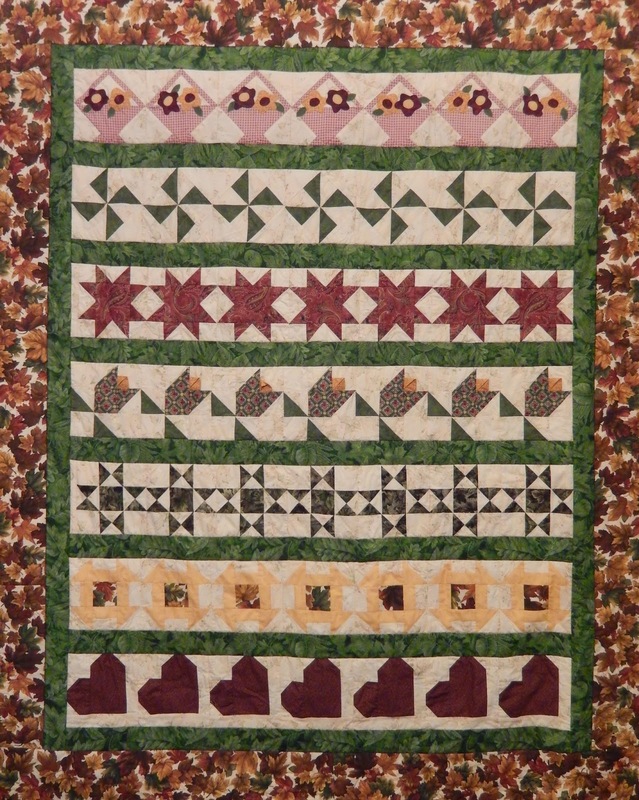 The New Quilt Blogger Hop hosted by Plum and June is continuing. Check out the blogs featured this week. Welcome! 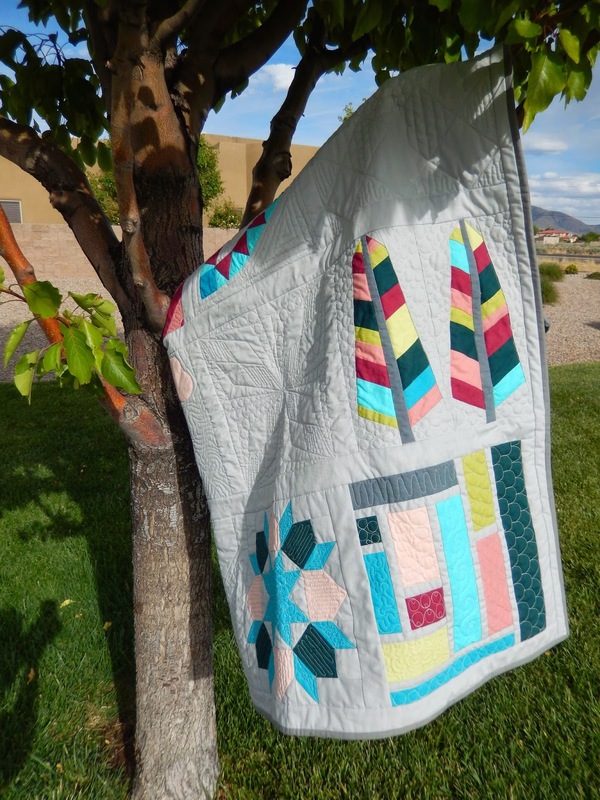 Today is the first day of the New Quilt Blogger Blog Hop. If you are visiting from Plum and June, thanks for dropping by. Let me introduce myself, I'm Afton Warrick. My youngest brother is visiting me here in Albuquerque, NM, where our claim to fame is the International Balloon Fiesta. He says I should tell you I was raised in a traveling circus and got my start by sewing together infinitely long magical handkerchiefs. I'm afraid that's not quite true. Really, I grew up in Cheyenne, Wyoming with my two brothers and my folks, but have lived in Albuquerque, NM since I married my engineer husband, Rob, nine years back. I appreciate the lowered likelihood of a blizzard in May, this location change brought forth. I'm currently a stay-at-home mother of a train and dinosaur-loving four-year old son and a one year-old daughter. 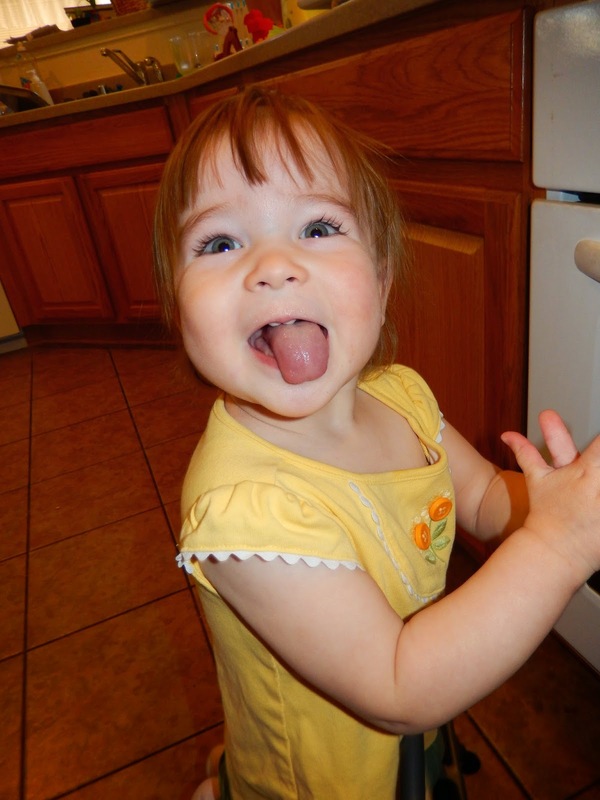 If I'm being honest, her main interests are the toilet, which she insists is truly a water table; old shoes; and trash cans, which she is eager to fill with any non-disposable items within her reach. I swear she has plenty of classy children's toys, but there's no accounting for my little princess's personal taste. Prior to having my own children, I taught first and second grade. My quilting adventure began when I looked up quilt shops and came across one that would be able to instruct someone with a semester of junior high sewing instruction and didn't have a mandatory prerequisite rotary cutter class (because I didn't even know what that was, and therefore had no motivation to pay for a class all about it). After reluctantly breaking the news to my husband about the cost of the supplies (If he only knew then, what he knows now. ), I set forth to create the row quilt that now adorns my formal dinning room in all its Wal-Mart fabric and fall-colored splendor. A fat quarter is a quarter yard that is 18" x 21" instead of 9" x 42" like a regular 1/4 yard. 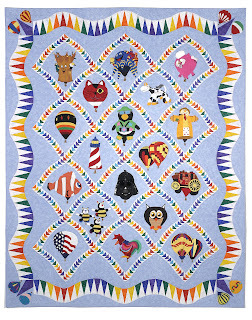 Quilt guilds exist, and they are a great way to meet other quilters. Pinterest and Flickr, online bees, linky parties, Craftsy and Fabric.com are fantastic! "Modern quilt" doesn't mean one with an unidentifiable subject matter and a philosophical explanation, as I originally thought. 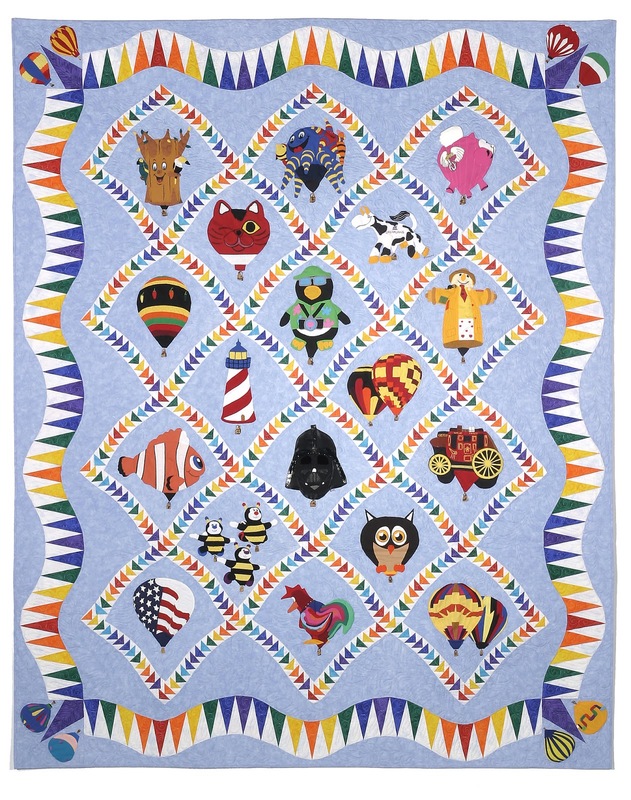 I first started blogging at www.aftonsquilts.blogspot.com as a way to organize my unfinished projects, and as a resource for my quilting students. 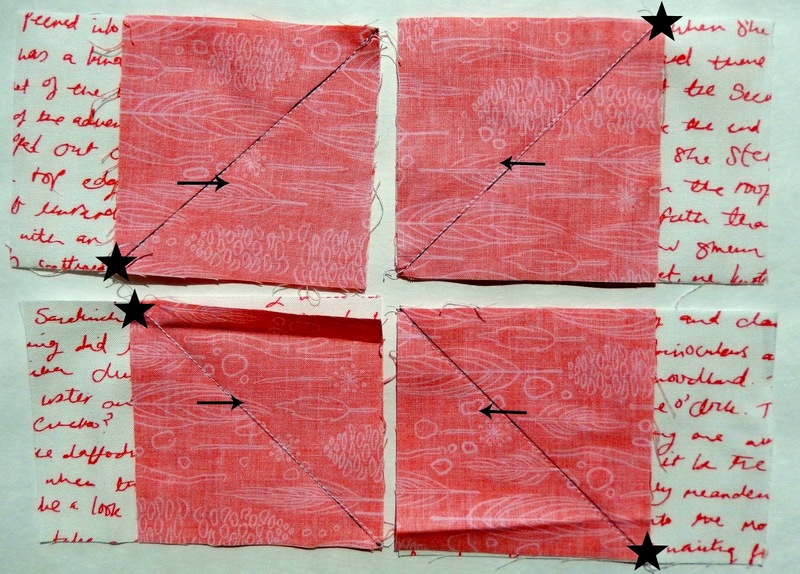 After discovering modern quilting, I decided to relocate to a new blog. Quilting Mod is my forum for inspiration, sharing my quilting experiences, and journaling my growing understanding of what constitutes modern quilting. I've gathered free quilt pattern websites, quilt block tutorials, linky parties, and quilt alongs as a resource for visitors. I've also contributed a Drive Through Quilt Along and tutorials. My blog has evolved in purpose from a scrapbook of quilts to a means of collaborating with others in the pursuit of creativity and friendship. I'd love it, if you'd consider following my new blog. and designing the 2012 raffle quilt for the New Mexico Quilters' Association, of which I was president the following year. Since I've transitioned to a more modern aesthetic, some of my favorite finishes include my Pac Man Ghost Quilt and my Modern Sampler. I'd like to share a blogging tip with you. I was unaware that when my readers wanted to leave a comment, they were forced to type in blurry mystery letters and numbers to prove they weren't robots. Perhaps, it's just me, but I have a really hard time distinguishing what I'm supposed to type in the box. Thankfully, one of my readers let me know what was going on and how to fix it. If you are on Blogger, and have not turned off word verification, I'll let you know how this is accomplished. Go to your Dashboard, Click on the Settings tab. Click on the Posts and comments tab. Under Comments, where it says Word Verification, click No. Now, how about a quilting tip? I love stitch and flip triangles! They waste a little more fabric, but create fewer visible seams and save time. Use a square acrylic ruler with a 45 degree angle marking to draw a diagonal line from one corner to the opposite corner of a square. Align the markers square with the raw edges of another piece so the line goes from raw edge to raw edge. Stitch on the line, or if you want to be really precise, sew just a hair to the side of the line that you will be pressing toward (indicated by tiny arrows in the photo below) in order to account for the bulk of the fabric and thread. I start sewing on the end that is not two tiny corners so my machine will be less likely to eat the pieces by sucking them into the needle plate. Chomp! Chomp! My starting places are marked with a star in the photo below. If you want to be super resourceful and thrifty, sew a line 1/2" from the first line of stitching, toward the side indicated by the tiny arrows. This will result in half square triangles. Press toward the outer corner, lining up with the bottom fabric. In this case, the bottom fabric is the text print. Cut a 1/4" seam allowance. You're looking at my Add-A-Quarter Ruler which is one of my favorite notions, since it has a lip that catches on the line of thread located 1/4" from the edge of the ruler, so I don't even have to look for the 1/4" mark. Throw away the little triangles, unless you made the second line of stitching. If that's the case, press open you half square triangles, and square them up to whatever size you like. If you want to spoil yourself, I recommend a rotating mat and a Bloc_Loc ruler for this. If you want to make a quilt block with these, your wish is my command. Check out the Focal Star tutorial.